Picture an underwater elevator with the ground floor almost seven miles below the ocean surface. 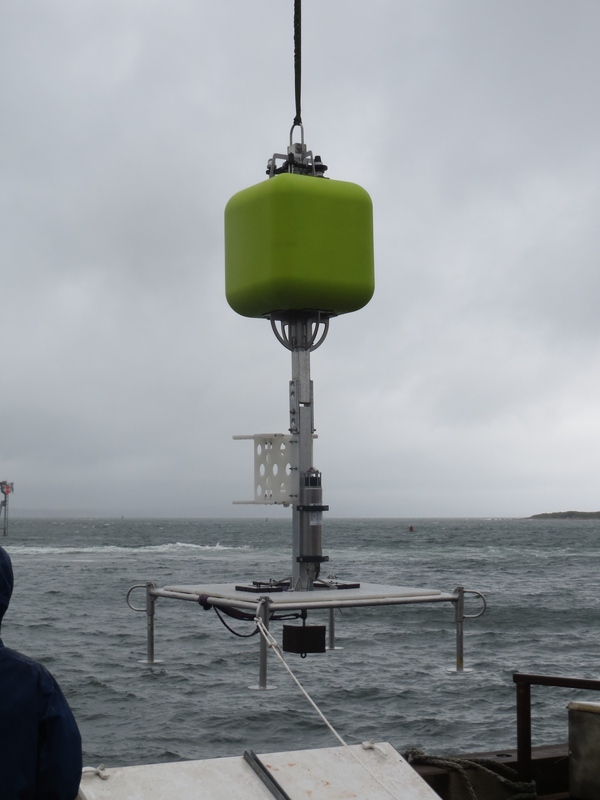 Last week, Schmidt Ocean Institute in collaboration with the Woods Hole Oceanographic Institution (WHOI) finished building one of two new deep ocean landers or “underwater elevators.” These landers are designed for deployment from the R/V Falkor. Landers are versatile mechanical platforms used for carrying tools, instruments, scientific samples, imagery, measurements, etc. between the surface and the bottom of the sea. Landers usually consist of a metal frame shaped like a large square desk with a perforated top and tall mast in the middle that carries lightweight flotation at its top. Landers are launched into the ocean with attached ballast weights that allow it to free-fall to the bottom. Depending on the depth, the descent to the seafloor could take up to several hours. 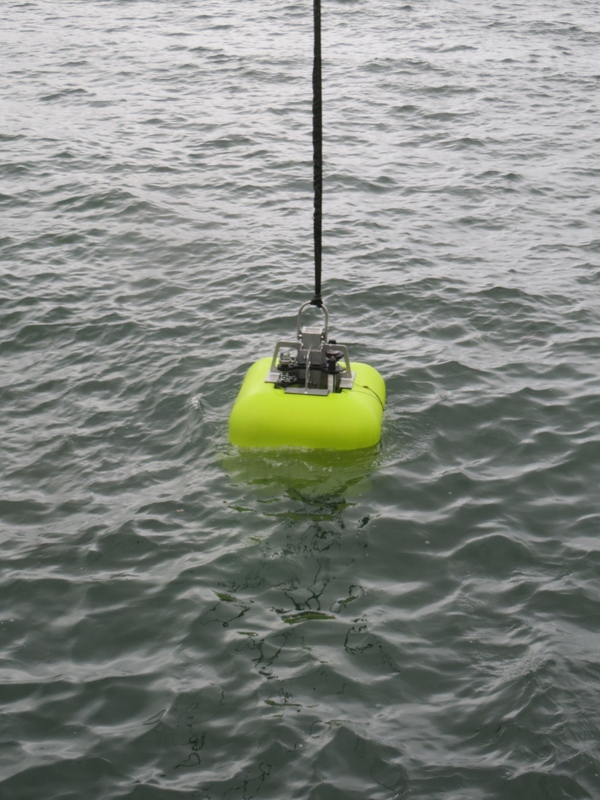 At the end of each deployment, the ballast weights are released with a timer or acoustic signal and the lighter-than-water lander then ascends to the surface. Once on the surface, the lander’s antennas and bright color of the flotation foam make it easy to spot and recover the lander. 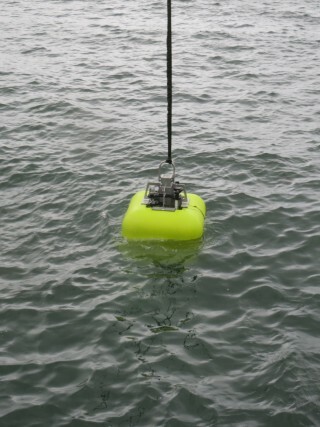 Landers can be used either independently or in support of other deep sea vehicles. 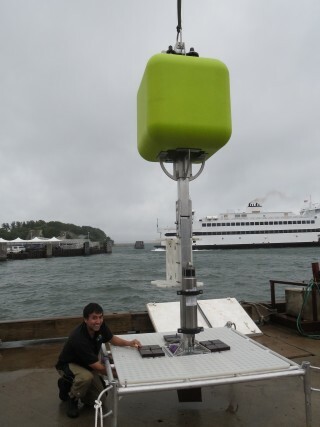 For example, they can provide additional payload carrying capacity to remotely operated vehicles (ROVs). This reduces the need to bring an ROV to the surface when it runs out of sample storage and allows the vehicle to spend more time performing useful work on the seafloor, rather than traveling through the water column. 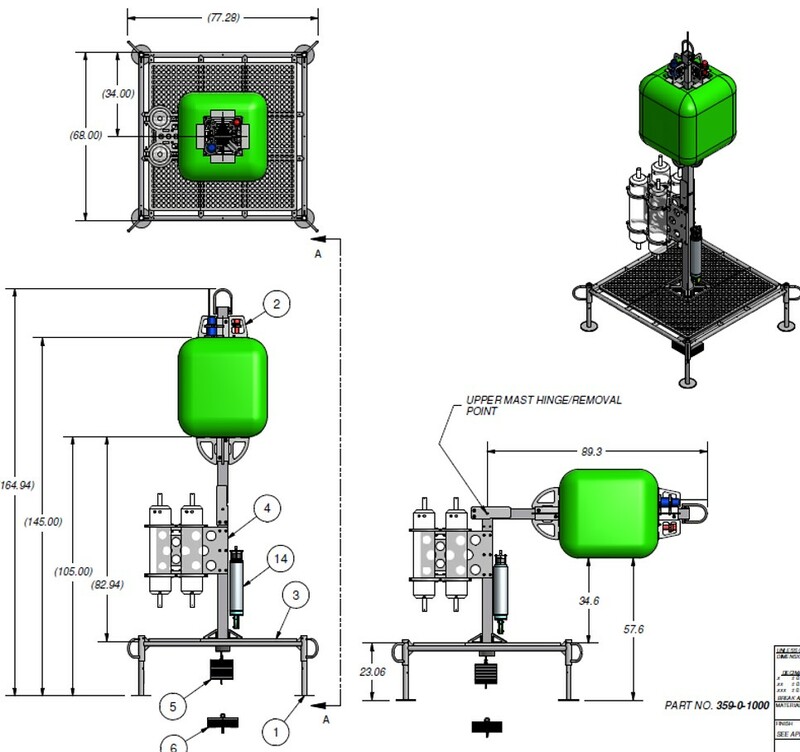 Landers are designed to be both versatile to accommodate different payloads and modular to facilitate use of various specialized add-on scientific systems, samplers, and instruments. For example, the lander base platform can be replaced with a specialized assembly housing such as coring respirometers. Once on the seafloor, this system would push one or more sampling tubes into the seafloor sediment and measure how the oxygen content within the tube changes over time. This information provides scientists with insight into the rate of oxygen consumption by the various organisms inhabiting the deep seafloor sediment. The landers can hold lights and cameras, and can be baited with “food falls” to attract and record different scavenger species at depth. Water samples can also be installed on the landers to collect deep sea water for chemical and microbial analysis.